Click to read more about: What’s On The Computer eCommerce Tap? Last week, my Internet marketing PC ABIT motherboard died. Time for a new ASUS AMD Motherboard. The prognosis was not good for the old PC computer system, but in the end I guess it means I am helping support the economy with some electronic equipment purchases. Check out what is involved in building a new computer at a bargain base price. The computer is build to higher end specs without going overboard in the price/performance ratio. The price was right, and considering that a number of hours was spent upfront, it saved time on the back end. Read more for the complete PC details. I was in the middle of using my PC for doing some online copywriting and editing for a customer, when all of a sudden the screen went blank, all the computer LED lights on the DVD and CD drives, as well as the power LED started flashing, and the the system started beeping at the same beat as the LED flashings. How To Really Build a Computer Video. Oh Really? Why Get Serious About Building a Powerful PC Computer System? This was a computer PC headache I did not need. At first I thought it was the power supply. I promptly tried a spare power supply, with no luck. It had the same symptoms. Then I unplugged all the peripheral devices while using the spare power supply, including the AGP video card, memory, DVD, CD, and floppy drive and even installed different memory; still the computer was beeping at me when turned on. Upon closer inspection, I found a small fan was frozen solid on the mother board’s Northbridge chip. These small fans, throughout all the computer systems in the field, are in my opinion problems waiting to happen. I have come round circle in my thinking on having these small internal fans. While fans do help cool things down, they are never-the-less moving parts, and all moving parts are destined to failure. Bearings seize, dirt accumulates, and then the fan stops turning and actually adds more heat due to thermal fan motor overheating and reduced air flow to the particular area. This old ABIT NF7 mother board with an AMD Athlon XP processor took a nose dive because of the frozen fan situation. The fan was hot. Now, I don’t exactly have the time to trouble shoot this motherboard down to component level, and besides, this motherboard is over five years old, and that is considered computer old age in my book, especially when it comes to a PC. So, it was down to the local Frys store. In the back of my mind, I was thinking, while I have multiple backups for all the files, I was not looking forward to having to reload all the business programs from scratch. I had two options; either I buy a brand new computer, and spend countless hours getting the software just right, along with having to deal with Microsoft Vista OS interoperability with old software and driver compatibility issues, or spending the time building a new PC while still maintaining the same hard drives, same software, and the same Windows XP Professional operating system. Both choices had their pros and cons. Actually, there was a third option; buy a new Apple, but I was just down that road a few months ago. I first stopped by the rows of desktop computer systems being showcased at Frys, taking a close look at the various pre-configured Intel and AMD PC options from HP, Sony, Gateway, Acer, Lenovo, Compaq, and eMachines. While there are many good quality Intel and AMD pre-configured Microsoft Vista desktop computer systems available for the high end models, they are not exactly what I was looking for. I had other desktop PC ideas in mind. Cost for performance was a factor. Additionally it is important to note that most of the mid to low end desktop computers are built all nice on the outside, but are severely lacking quality engineering and options on the inside. When shopping for a new PC, I’m the kind of guy that looks on the inside of every computer I see on display. I get out my trusty Leatherman, with the phillips screwdriver, and take off the covers. I want to know what the power supply ratings are, how many extra slots are available, what type of cooling fans are used, extra internal USB ports on the mother board, extra SATA connectors for more hard drives, front panel audio ports, and how many memory slots are left open for later expansion. After taking a trip down the computer display side of the store, I then ventured over to the motherboard, hardware, and components section. Frys typically has some good packaged deals on sale for motherboards and boxed processors (includes processor, heatsink, and fan) and that day was a good Frys sales day. The sales guy asked if I wanted Intel or an AMD microprocessor. I mentioned It really didn’t matter to me which system, I was just looking for the best deal possible on the higher end computers and motherboards. He suggested the AMD processor based ASUS M3N78-VM Motherboard which includes a built in nVidia GeForce 8200-based chipset and also install the AMD Phenom X4 9850 Black, Quad Core 2.5GHZ processor for a solid performing computer. 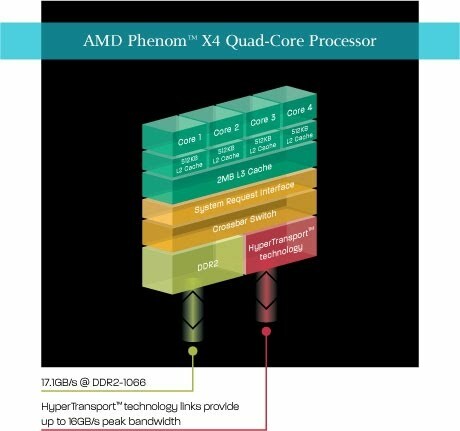 Additionally, the salesman mentioned that the AMD was really a “‘true’ quad-core processor” as compared to Intel’s processors. By-the-way, click on any of the main graphic images throughout this article for more information related to each specific computer hardware component. Of course, I needed new memory for the new motherboard which takes DDR2 instead of the slower DDR, plus there are different pin configurations on the new motherboards vs the old ones. I picked up two 2GB PC2-6400 800MHz Dual PAT memory sticks for a total of 4GB memory (DDR2 4GB (2 x 2GB) PC2-6400). It was the Patriot brand, P/N PDC22G6400ELK. I could have gone to the 1066MHz memory modules, but I felt that would have been overkill for my PC system requirements. OS note: If you are using Windows XP 32 bit and Vista 32 bit edition operating system software, the maximum physical memory limits that are able to be accessed are somewhere around 3.37GB, not the 4GB that Microsoft states. “XP and Vista can only truly manage ~3GB of Physical RAM.” Reference: Memory Limits for Windows Releases (Windows). Windows XP 64-bit OS could theoretically address 128 GB of RAM. I should note, even though I have not tried this myself, there is a software switch setting for the Boot.ini file to increase the Physical Address Extension – PAE Memory and Windows. I think I would do more research into PAE before attempting it on an Intel computer. Microsoft states the following is required, “The PAE mode kernel requires an Intel Architecture processor, Pentium Pro or later, more than 4 GB of RAM, and Windows 2000, Windows XP, or Windows Server 2003.” One other point when deciding if you are going to go with Windows Vista 32 bit or Vista 64-bit OS, is that there might not be drivers available for certain hardware and software needs. Check closely for software and hardware compatibility issues before taking the 64-bit OS plunge. One of the requirements that often gets overlooked in building a new computer or even buying a prefab one, is to have a good power supply installed. If the Motherboard is the soul of the computer, then the Power Supply is the heart of the PC. It keeps the current flowing and maintains the proper voltages throughout the motherboard, memory, and the peripheral devices. In my case, I also needed to update my 350 watt power supply. Since I tend to plug in a lot of items into my computer systems, I decided to go with a 700 watt power supply. By-the-way, there are a number of power supply calculators available online for calculating your particular power requirements. 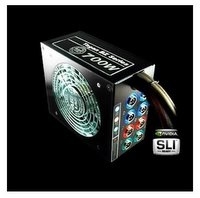 The model number of the power supply I bought is, ABS Tagan ITZ Series ITZ700 700W ATX12V / EPS12V. I don’t think this power supply is available any more. I believe the new Tagan Tg700-U88 Bz Series 700W Pc Power Supply that has replaced this one. Selecting a Quality Computer Case. What Are The Requirements? In my opinion, the case of my old computer was just fine. It has good fans, good air flow, and extra slots for other devices. Let’s be frank here; most people place their computers under their desk, out-of-sight and out-of-mind. It’s not like the case is a showcase for most users. If you want to showcase yours then go for it. Get wild with your system. There are all types of see-through, or psychedelic LED fans, front panel temperature monitors, or any colored case to your taste. For me, I already had a good quality case. So out came the old MOB and the old 350 Watt PS. Everything else remained. I have two hard drives, one floppy drive, one CD recorder, one DVD recorder, and a number of cooling fans in the case. I installed the new MOB with the built in nVidea GeForce 8200 video, new memory, and new 700 Watt power supply. I plugged the computer system in, pushed the power on button, and it came to life in the BIOS setup mode. This was a good sign. It is also interesting to note at this point about what type of hard drives I am using. The two hard drives, CD, and DVD drives are all IDE parallel type connectors. The ASUS mother board had one location for an IDE cable for a total of two drives. Having an IDE connector plug was an important feature I liked about the ASUS MOB. A note about the hard drives. Most motherboard manufacturers are not installing the wider IDE PATA plugs anymore. I am sure this is a way of saving space and money for items that will not be used that much in the future. I selected Cable-Select mode for the two IDE hard drives I was using. There was also a MOB standard floppy disk drive (FDD) signal connector for the ribbon cable type floppy drives. Note, most pre-configured computers generally do not even have the FDD connectors on the MOB, nor do manufacturers even supply a floppy disk drive unit with the PC. If you want to have a floppy disk drive on new computers today, you would need to purchase an external or internal USB 2.0 Floppy Disk Drive unit. When was the last time you used a floppy disk? Now, with the old IDE hard drives attached to the new MOB, this allowed me to power up the new computer, but I was now missing a number of new software drivers that I needed to get installed from the DVD install disk for the ASUS motherboard. Additionally, because I was not sure what I was going to do about hooking up the old PATA CD and PATA DVD to the motherboard, I picked up a $32.00 DVD writer unit that had the new SATA, Serial ATA connectors. The majority of computers being sold today are using the faster speed SATA connectors. They are also much smaller. The ASUS mother board has 5 SATA connectors on the inside and also an external SATA connector. These internal SATAs can be configured for RAID 1, RAID 5, RAID 0+1, and JBOD configurations through the onboard controller. RAID, Redundant Array of Independent Disks is a technology that employs the simultaneous use of two or more hard disk drives to achieve greater levels of performance, reliability, and/or larger data volume sizes. JBOD stands for Just a Bunch Of Disks (Just a Box Of Drives). It was now time to install the rest of the drivers. I plopped in the ASUS DVD driver and utility disk and started installing the drivers one at a time. I should point out that at this time, the computer kept telling me after each reboot required after every driver installation, because of the major changes that took place with the hardware, Microsoft Windows XP software was requiring activation again, and was informing me that I needed to re-register within the next three days or else. But, since I did not have the driver installed for the Ethernet controller yet, thus did not have Internet hookup, I had to ignore the Microsoft message at this time. Besides, I needed to install all the drivers and get a solid computer system before re-registering the Microsoft software. Talk about a real pain. Everything must be done in the proper order, even to the point of not allowing Windows XP software to automatically search and install the new hardware drivers itself. You need to close out the windows as they pop up. I finally got through all the drivers that needed to be installed but I still did not have my old CD and DVD recorders hooked up. I remembered that I had a few extra Maxtor IDE Ultra ATA133 PCI cards available. These cards provide extra IDE slots to install more hard drives or other IDE devices. I installed one of these cards in one of the PCI slots on the MOB and hooked up the CD and the DVD to it in cable-select mode. I used one IDE PATA cable attached to both the CD and DVD (primary and secondary). I needed to download Windows XP software drivers for this card. It took me awhile to find the driver source online for these addon IDE cards. If you need the software drivers, click the link to download the zip file for the WinXP, WIN2000, WIN2004, Win9x-Me, and NT4 operating systems for the Maxtor IDE Ultra ATA133 Drivers. To load the driver for this card I needed to allow Windows XP “Found New Hardware” wizard handle the assignment. I browsed to the correct location where the driver was located on the hard drive and the system automatically installed it. Once this was installed, I rebooted and now all my hard drives, CD, and DVD drives were displayed in My Computer. Once I got everything installed, there really was no need to keep the new SATA DVD disk recorder unit. I returned it back to the store. I could have gotten around the need of having to use the SATA DVD recorder/player in the first place by using the existing parallel IDE DVD as a secondary hookup on the main IDE cable of the mother board. There were a few other items that needed to be taken care of. First off, I have a 24 inch Gateway Widescreen Monitor, model FPD2485W TFT LCD Monitor that I am using on this computer. The Gateway Widescreen Monitor comes with a driver and software to auto-rotate the screen when rotating the screen from Landscape mode to Portrait mode and back again. The software drivers appeared to be conflicting between the Gateway EzTune software and the nVidia software. It took some playing, trial-and-error, and downloading of the new EzTune software from www.gateway.com to get this functioning properly again. I had to completely remove the old EzTune software before installing the newest version of the EzTune software. I also stopped using the nVidia software within the preferences area from loading on boot up. 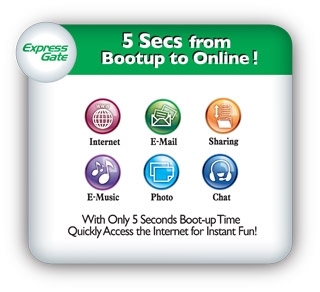 By-the-way, the Gateway Monitor is a great monitor for all types of usage and applications for video, television hook ups (includes multiple types of video inputs), and computer high resolution activities. The native resolution is 1900 by 1200 pixels. You can have two full Web pages side by side. Having multiple programs open at the same time with this monitor, allows you to quickly go from one program to the other just by clicking the window behind or off to the side of the other ones. The Gateway Monitor has VGA input, DVI-D Digital input, S-Video input, composite video in jack, two component video jacks, and four USB 2.0 plugs are available; 2 USBs on the left side and 2 USBs are located on the back bottom surface of the monitor (“USB in” “B” type connector cable on one end is required from the PC to the monitor to use these extra USB 2.0 ports). There is an optional powered by the monitor, speaker bar with microphone and headphone plugs, and left and right auxiliary input jacks available too. Now was the time, after the majority of the work was completed on the new PC, I then allowed Microsoft Windows XP to automatically activate the XP Pro software which I had previously loaded on my old computer system, that is now on my new computer via the old hard drive. I also had to re-activate Microsoft Office 2003 software too. The re-activation process took place through the online Internet connection. It’s important to note that technically and legally speaking, each Microsoft Operating System license and Microsoft Office software license is tied to one PC only. That is why, when a major change takes place to a computer, such as a new motherboard, the software automatically senses this major system change and requires re-activation. Minor system changes to a PC, such as adding a new USB device, does not typically trigger the automatic Microsoft Windows OS re-activation process. Here are the PC technical specifications on what I installed. 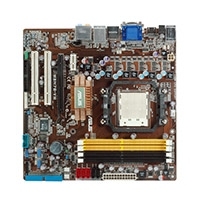 This motherboard supports AMD AMD® Socket AM2+ multi-core processors with unique L3 cache and delivers better overclocking capabilities with less power consumption. It features dual-channel DDR2 1066 memory support and accelerates data transfer rate up to 5200MT/s via HyperTransport™ 3.0 based system bus. This motherboard supports AMD® Socket AM2 single-core Athlon™ 64 / Sempron™ and dual-core Athlon™ 64 X2 / Athlon™ 64 FX processors with 2MB / 1MB / 512KB L2 cache based on 64-bit architecture. It features 2000 / 1600 MT/s HyperTransport™-based system bus, dual-channel un-buffered DDR2 800 memory support, and AMD® Cool ‘n’ Quiet™ Technology. Provides 2.6 times more bandwidth than HT1.0 that radically improves system efficiency for a smoother, faster computing environment. DDR2 1066 memory provides great performance for 3D graphics and other memory demanding applications on next generation memory technology. M3N78-EMH HDMI supports AMD Cool ´n´ Quiet! Technology, which monitors system operation and automatically adjusts CPU voltage and frequency for a cool and quiet environment. NVIDIA GeForce 8200 offers the latest support of Hybrid SLI Technology, DirectX10 graphics features, HD video playback with HDMI/DVI output. It also supports HyperTransport™ 3.0 interface, PCI Express™ 2.0 bus architecture, Serial ATA 3 Gb/s devices and is optimized with AMD’s latest AM2+ and multi-core CPUs to provide excellent system performance. Hybrid SLI™ technology is a unique hybrid multi-GPU technology. It includes two primary features: GeForce Boost and HybridPower™. GeForce Boost turbo-charges performance of discrete graphics cards when combined with the motherboard GPUs. HybridPower™ unleashes graphics performance for demanding 3D applications and enables low-power operation for everyday computing needs. * GeForce®(R) Boost and HybridPower™ are on select GeForce®(R) GPUs. Visit www.nvidia.com/hybridsli for more information. PureVideo HD technology is the core of a complete Blu-ray or HD DVD movie solution, featuring hardware acceleration, post-processing, HDCP circuitry, and integration with leading HD movie software players. High-Definition Multimedia Interface (HDMI) is a set of digital video standards that delivers multi-channel audio and uncompressed digital video for full HD 1080p visuals through a single cable. Supporting HDCP copy protection such as HD DVD and Blu-ray Discs, HDMI provides you with the highest-quality home theater experience. This motherboard supports next-generation SATA hard drives based on the new SATA 3Gb/s storage specification, allowing RAID 0, RAID 1,RAID 0+1,RAID 5 and JBOD configurations for five SATA connectors. This motherboard supports Dual-VGA output (RGB & HDMI/DVI). HDMI/DVI interface is compliant with HDCP. ASUS Q-Fan technology intelligently adjusts CPU fan speeds according to system loading to ensure quiet, cool and efficient operation. Diagnose LAN connection before entering OS! AI NET2 remotely detects cable connection the second you turn on the system, and any faulty connections are reported back up to 100 meters at 1 meter accuracy. Personalize your system with customizable boot logo You can convert your favorite photo into a 256-color boot logo for a more colorful and vivid image on your screen. True quad-core designed from the ground up for better communication between cores. Helps improve system performance and efficiency by directly connecting the memory controller and I/O to the CPU. In addition to the 512K L2 cache per core, up to 2MB of L3 cache shared by up to 4 cores. BENEFIT : Shortened access times to highly accessed data for better performance. BENEFIT : Larger data paths for quicker floating point calculations and better performance. BENEFIT : Quick access times to system resources for better performance. BENEFIT : Quick access to system memory for better performance. BENEFIT : Enables platform designs providing less heat and noise efficient performance and energy usage. Power can be switched on or off within a single clock cycle, saving energy without comprimised performance. I am very impressed with this PC setup. There are many good things to say about this computer, the motherboard, and the AMD Phenom Processor. I will tell you that when I have multiple windows open, multiple programs running, online video playing, a USB television tuner playing and even a backup program running in the background, I never experience jumpy sound, or video that doesn’t sync with the audio. It is very smooth and a seemingly fast PC machine. I know there are overclockers out there that might be interested in maximizing the speed, especially the online gamers. But for me, the speeds are fine right out of the box. Believe it or not, I built this thing for $400.00. That included one rebate of $25.00 for the memory. Another point is the fact that this AMD computer operates at much lower temperatures compared to that of the Intel processors. After doing some research online, I discovered that AMD processors typically operate at a lower temperature than their Intel counterparts. The ASUS utility disk provided a cool software monitoring program for temperatures, voltages, and fan speeds. The CPU typically is at 42°C (110°F) and the Motherboard operates at 34°C (94°F). That’s even cooler than my Apple iMac G5. Now I can get back to my Internet marketing work. This was a little bit more of an Internet detour than I was planning. I knew at some point in time that I was going to have to upgrade my computer system. It’s just that it came sooner than expected. Always expect the unexpected when doing work online. Get your business discovered today with Internet marketing services from Professional Web Services.